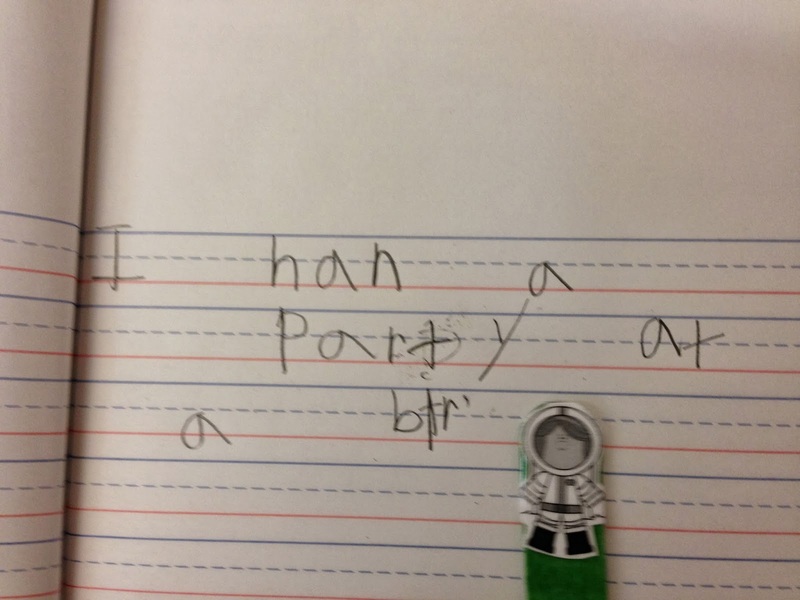 My kindergartners are beginning to write. We've been writing all year, but now I can actually read most of what they have written. We've been working really hard on our pennmanship and focussing on writing inside those lines. Now, our focus is on space, not "Space the Find Frontier" but the space that should be between our words. 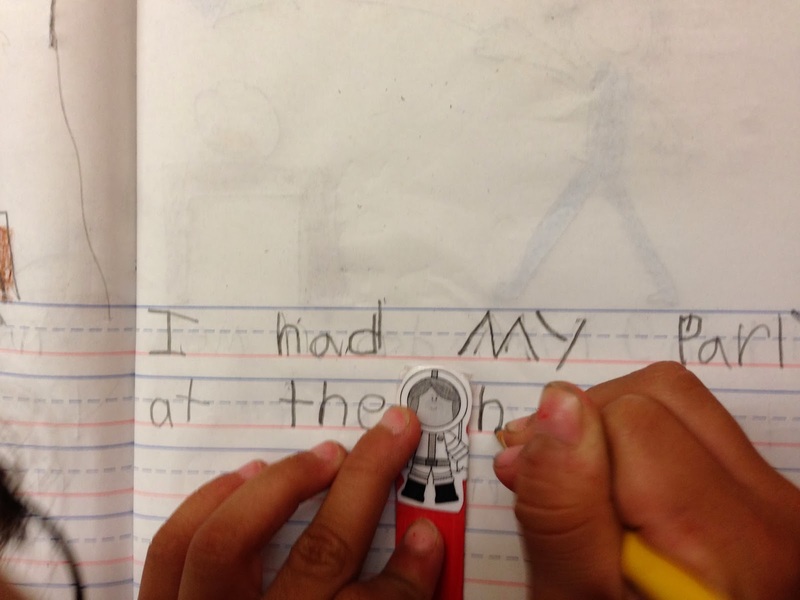 We've been using the space people from my Write Away! 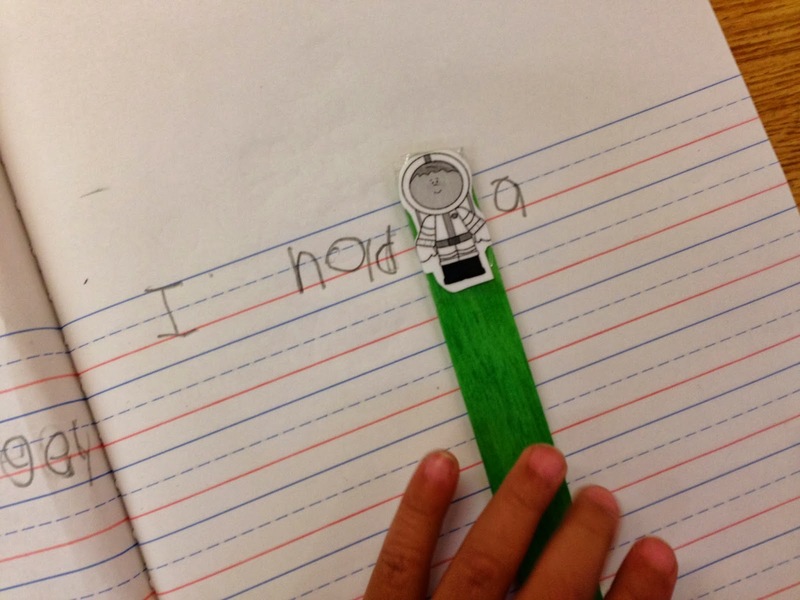 Writing Prompts for K and 1st and it is working! 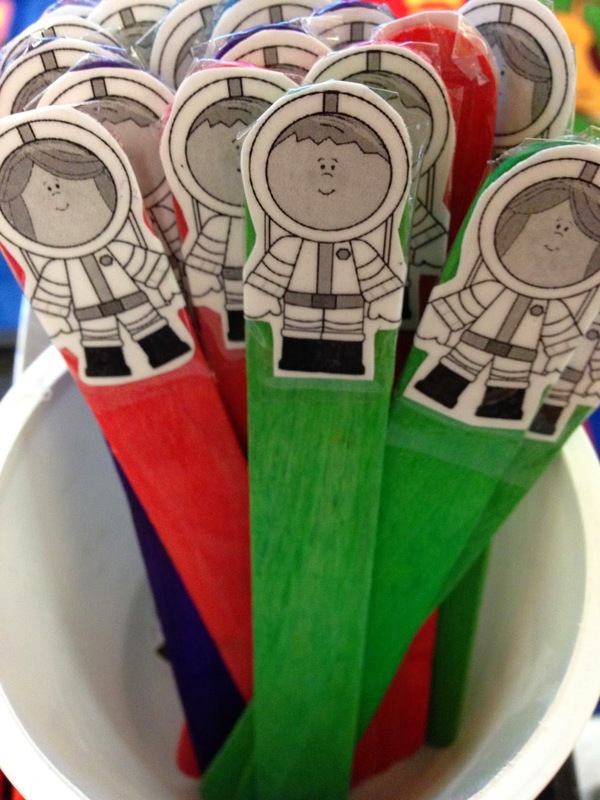 I printed out the little space people and laminated them before taping them to the ends of the large colored craft sticks. Before letting the kids use them, I spent a few days demonstrating how to use them. We went over all the necessary rules of not writing on the sticks, only use them to help with spacing and blah, blah, blah. Today I snapped a few pictures of my kids using them. I can see a difference in their writing already. The big bonus is now they can read their writing back to me, because it has spaces. I just started using these for the first time in my five year old classroom. I have seen the idea floating around for years. However upon using this my first time, I have two left-handed students that are having trouble using it. Any suggestions? Do you have a link for the spacemen?